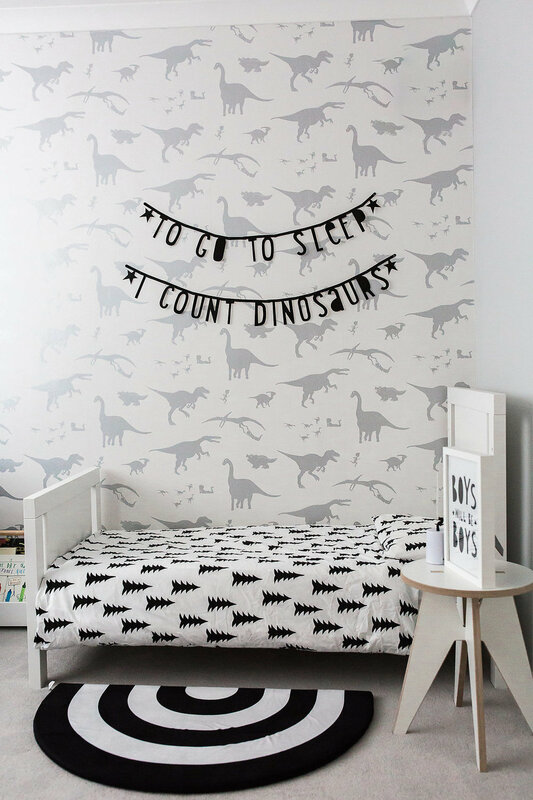 This is my son Thomas' bedroom at our previous house. 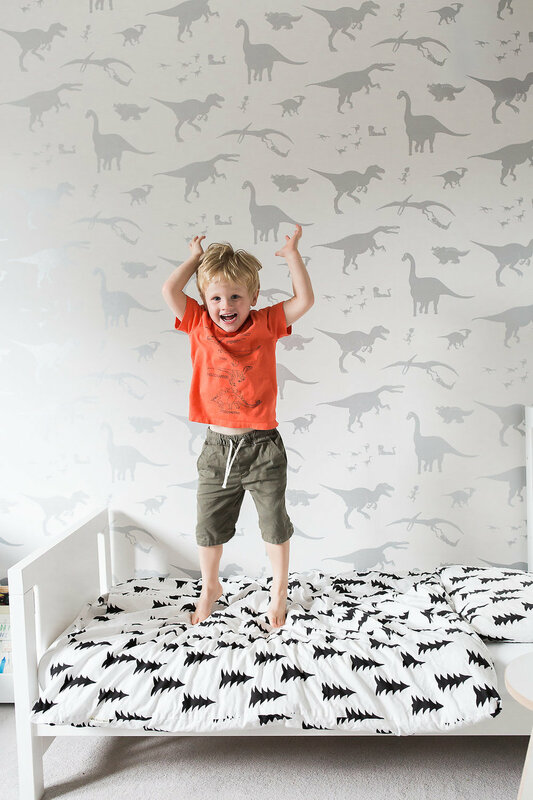 We had moved him out of his nursery into the spare room, in order to free up the nursery for his baby sister. 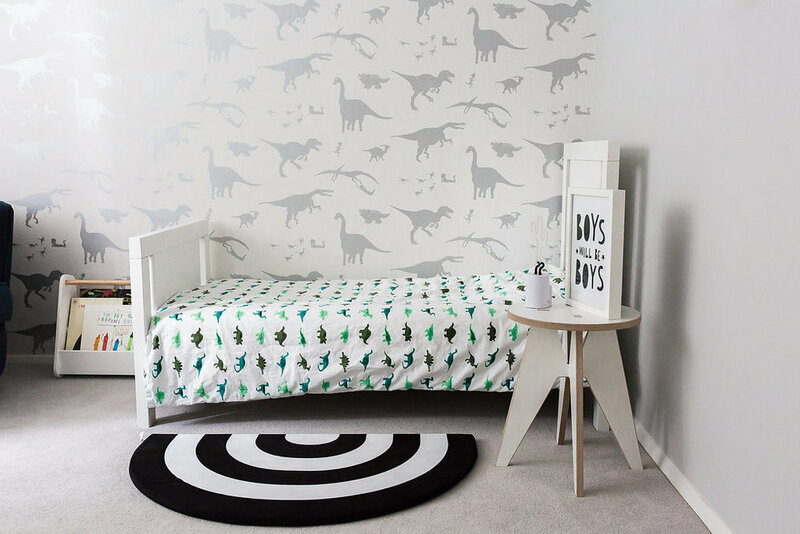 As soon as I saw this "D'ya-think-esaurus" wallpaper by Paper Boy I just knew it was perfect for Thomas' room as it shows a fearless little boy playing with his dinosaur friends. 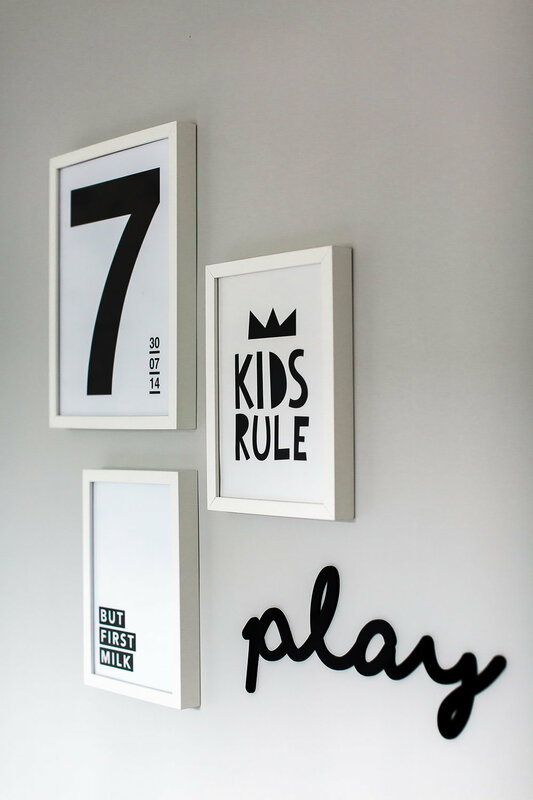 I knew that he would love it but the classic white and silver colour way appealed to me and dad too. 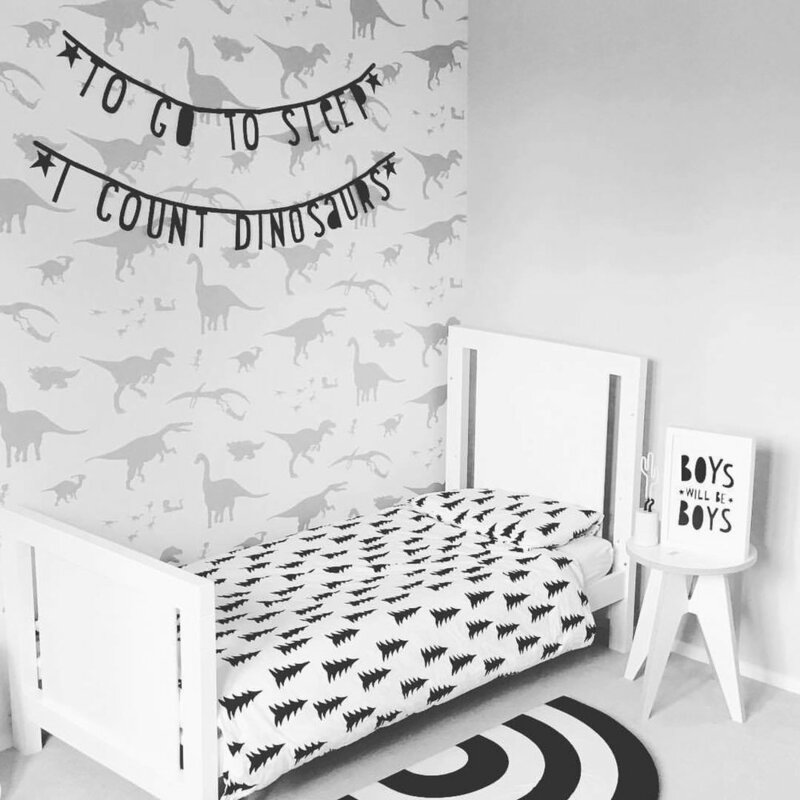 We chose a limited colour palette of monochrome, grey and silver throughout the rest of the room, and decorated with a very loose dinosaur theme to ensure it always looks stylish even when filled with all his colourful toys and treasures.